Mouse anti C-peptide antibody, clone C-PEP-01 recognizes human C-peptide (also known as connecting peptide) a peptide released when proinsulin is cleaved to produce insulin. It can also be used to detect proinsulin. Purified IgG prepared by sequential precipitation with caprylic acid and ammonium sulphate. Human C-peptide conjugated to BSA. Hilgert, I. et al.  (1991) A monoclonal antibody applicable for determination of C-peptide of human proinsulin by RIA. Afrikanova, I. et al. (2011) Inhibitors of Src and focal adhesion kinase promote endocrine specification: impact on the derivation of β-cells from human pluripotent stem cells. J Biol Chem. 286 (41): 36042-52. Vasic, D. & Walcher, D. (2012) C-peptide: a new mediator of atherosclerosis in diabetes.